You can use your stock rear caliper for our 1982-2003 Sportster hardtail kits. 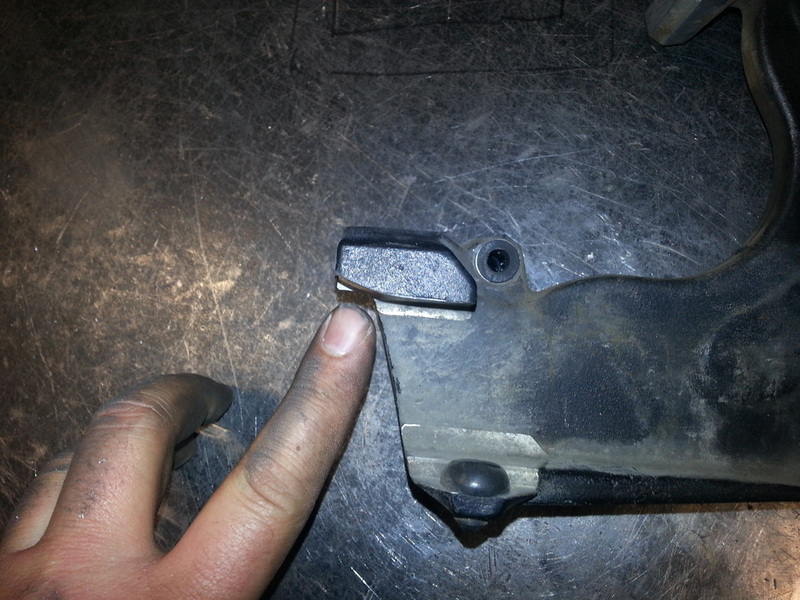 Pictured is how you modify your 1982-1999 caliper. 2000-2003 include a mounting shelf with the kit because they have a completely different caliper. 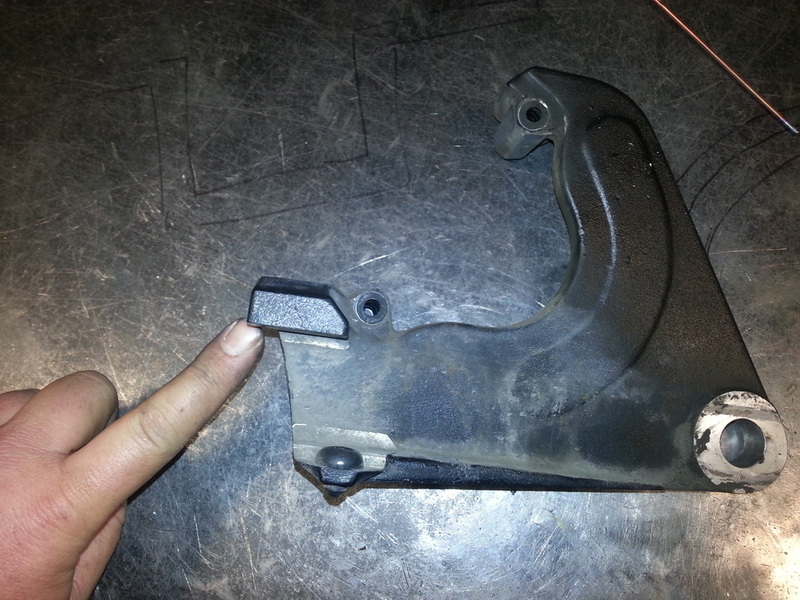 This is the stock caliper bracket before modification. The corner being pointed at will need to be trimmed back slightly. Mount the bracket between the frame rails. 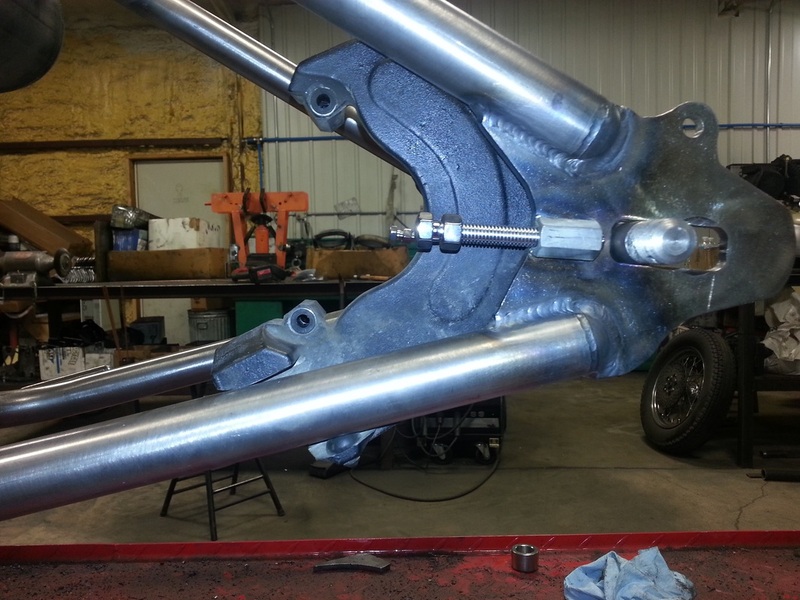 It might be necessary to shorten your axle adjusting bolt by cutting it off slightly.